Two of the great joys of Baselworld are meeting new people and discovering wonderful new watches. During this year’s annual pilgrimage, a friend introduced me to a modest, softspoken gentleman. The pink gold watch on his wrist seemed almost out of place – to me, it did not suit him. 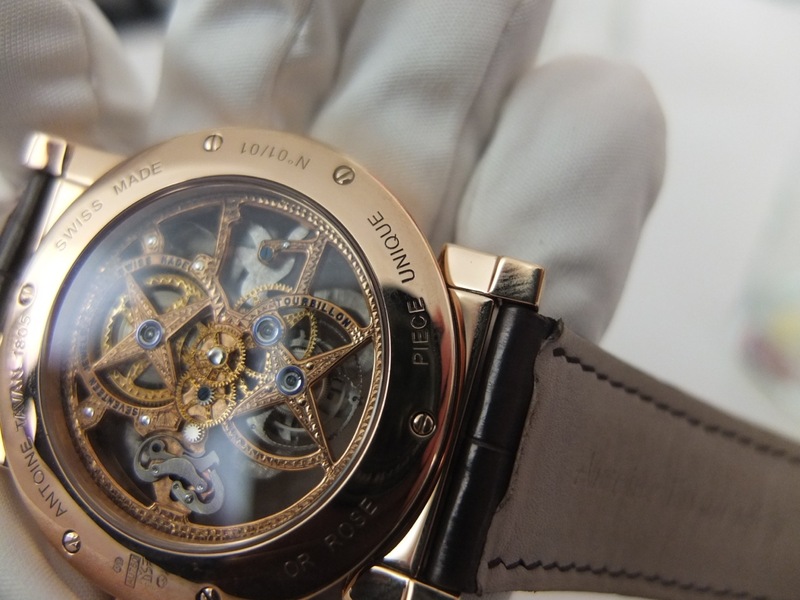 The man was Roger Zarzoso, owner and master watchmaker of Antoine Tavan 1805, and that pink gold watch was a piece unique he crafted entirely by hand. Once I learned the full story, everything fell into place. Sometimes the most highly skilled craftsmen and women are deeply modest and humble, and the extravagant, timepieces they create do not reflect their personalities. With this Antoine Tavan Piece Unique, the extravagance takes the form of two white-gold birds set with diamonds, sapphires and emeralds. Though the jeweled birds are the center of attention, there is more to discover! 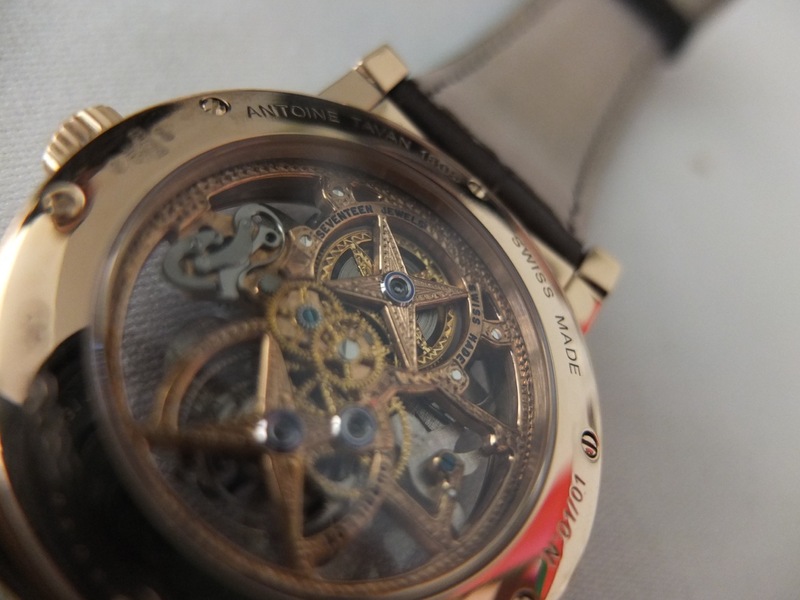 Turn the watch over, and the back reveals a stunning engraved and skeletonized tourbillon movement. Even the wheels are engraved, and the work reflects an excellent eye for detail. This work embodies Zarzoso’s skill, and the reason this is a piece unique: craftsmanship at this level requires a considerable investment of time. Viewed from the front, the gemstone-encrusted birds may be the center of attention, but the movement offers other delights. The details on the bridges, as well as the open worked main spring barrel, reflect the true quality of this movement, while the blued hands ensure that time can indeed be read. 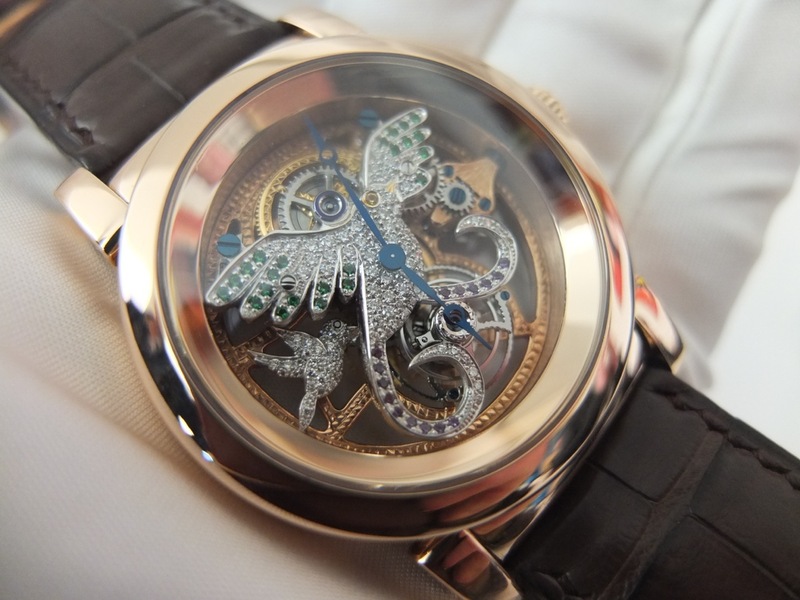 The simple case assures that the eye is drawn to the jeweled and engraved caliber. 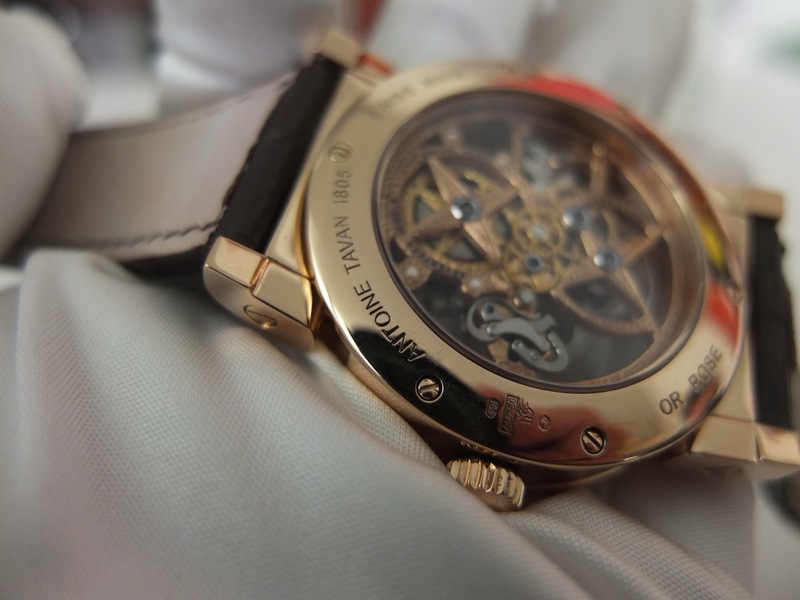 It comes as no surprise that this unique piece found a new owner at Baselworld. 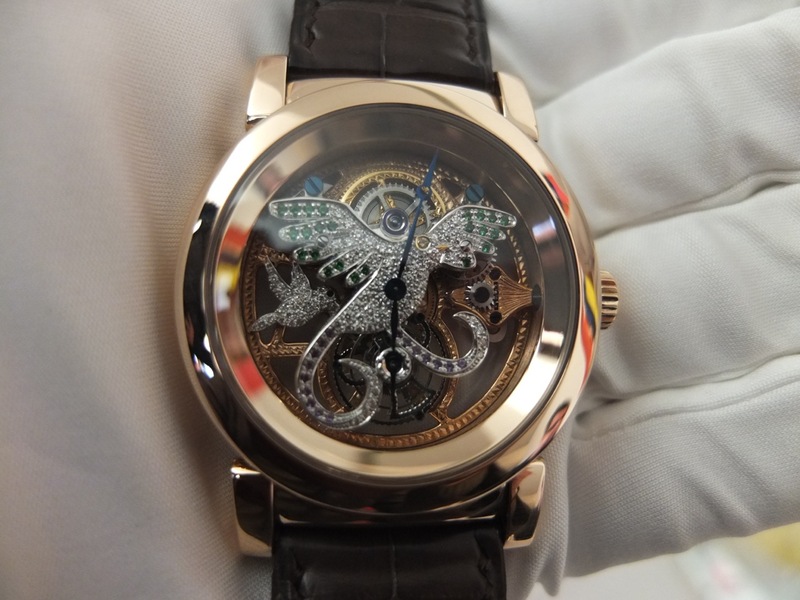 Though this particular watch may be locked away in a personal collection, Roger Zarzoso will continue to craft these ultra-exclusive, highly limited watches under the Antoine Tavan name, and I am already looking forward to seeing what is on his wrist next year.